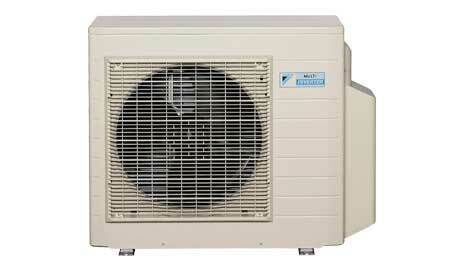 TC AIR supplies Daikin’s full range of Multi Split System air conditioners. Designed for air conditioning one room or a specific area of a home, and using a wide range of indoor units to suite your style and needs. With a wide variety of Daikin indoor units available, it is easy to select a model that matches your home’s interior and needs. A Super Multi NX air conditioning system allows you to control indoor units individually. So the ideal temperature can be maintained while keeping the running cost low as only spaces requiring air conditioning are switched on. 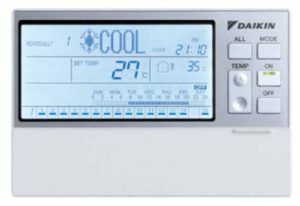 Convenient Control: Wired and wireless controllers allow individual control of settings such as temperature, airflow and scheduled operations. Intelligent Comfort: Wall mounted indoor units have Daikin’s Intelligent Eye human sensor that reduces draughts and saves energy when the room is unoccupied. Truly Versatile: Up to 5 indoor units can be connected to the outdoor unit. Energy Efficient: Rooms requiring air conditioning can be switched on independently. Priority Room Comfort: Allows you to shift capacity from the other rooms to your priority room for rapid cooling or heating of the space. 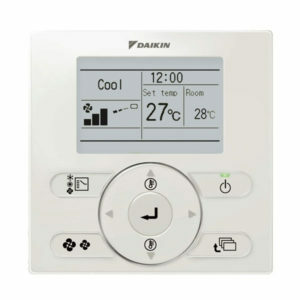 Individual Comfort: Each indoor unit can be individually controlled, scheduled and set to the desired temperature. 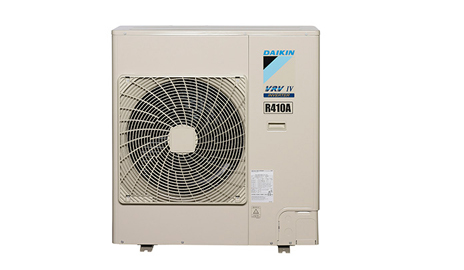 Daikin’s VRV IV-S multi split air conditioning system incorporates the latest technology from their VRV commercial air conditioners including great energy efficiency, quiet operation and long piping runs of up to 100m (24kW Model) for condenser placement. The compact size and horizontal discharge design of this outdoor unit are also a bonus. Night Time Quiet Mode: Reduces the outdoor noise levels during sleeping hours and automatically resumes normal operations in the morning. Ultimate Versatility: Up to 14 indoors can be connected ranging from wall mounted, floor standing, bulkheads, cassettes and ceiling suspended units. Compact Footprint: A large range of capacities available. Plus the system has a tight installation footprint with long piping runs of up to 100m(24kW Model). All Daikin air conditioners exceed MEPS requirements, showing their commitment to providing energy efficient, quiet, simple to use and reliable air conditioning solutions.